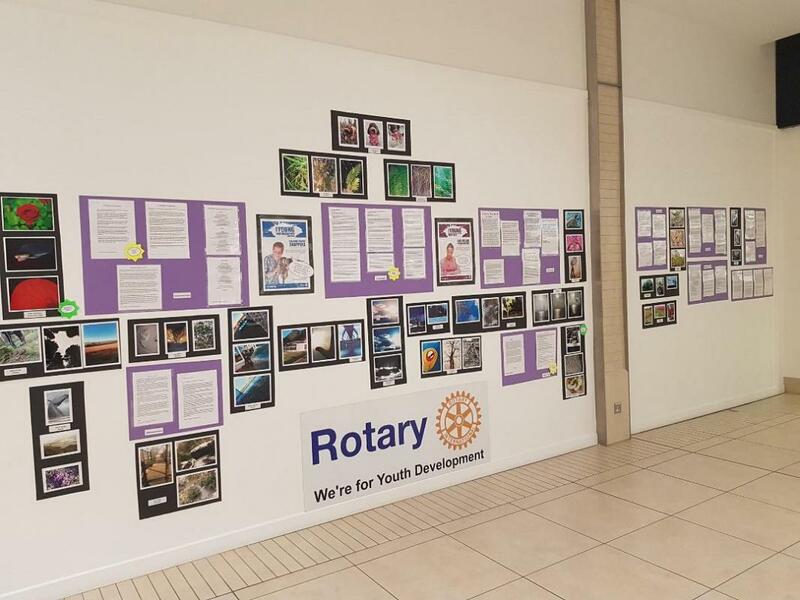 The creative talents of the district’s young writers and photographers were showcased in a special exhibition which was mounted in the Kingsgate Centre by the Rotary Clubs of Dunfermline, Carnegie Dunfermline and West Fife. The montage features prize-winning entries in the local heats of the young writers and young photographers competitions run annually as part of its youth development ethos by Rotary International in Great Britain and Northern Ireland, an arm of the world’s largest service organisation for business and professional people with 1.2 million members in 168 countries. The three-stage national competitions – which are open to entrants across three age groups in school and college communities and youth organisations – tasked youngsters to demonstrate their nascent literary and photographic skills by interpreting the theme “A Different Perspective” in a 500-word story or poem and a portfolio of three photographs in colour or black and white.